Determining where to invest in or build self-storage can be difficult. Our presenter will provide an overview of expected new supply and identify markets and submarkets that appear saturated or offer development opportunities. 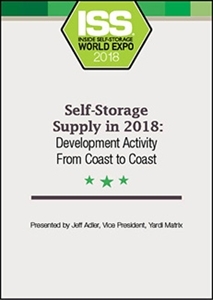 Conclusions will be drawn from data on 132 markets and 1.4 billion square feet of storage space, including 1,500 new projects in the pipeline.